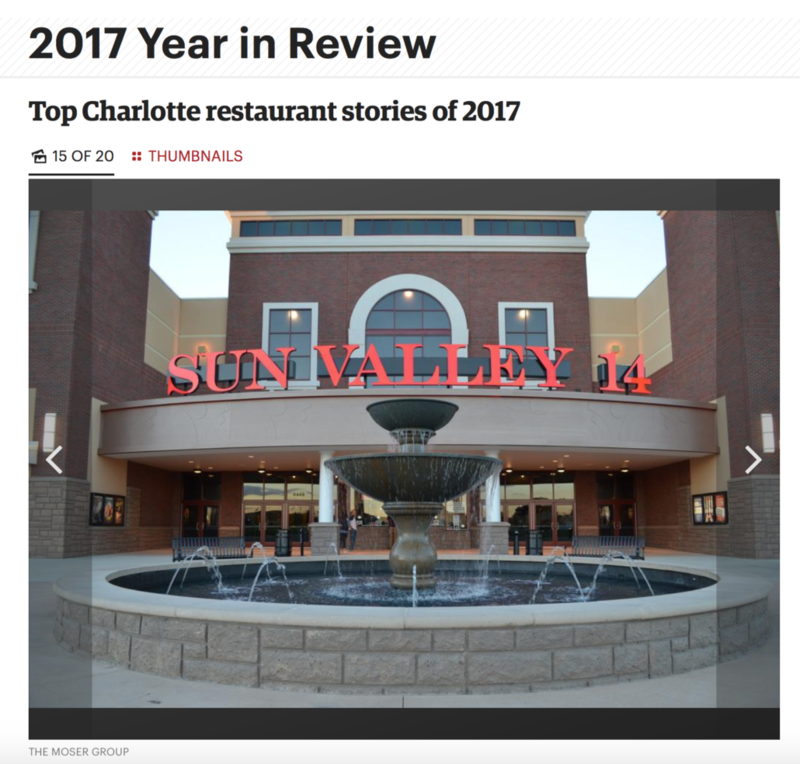 Charlotte Business Journal ranks Sun Valley Commons Development #6 – The Moser Group Inc. Check out number 6 on the Top Charlotte Restaurants list for 2017! You may recognize our very own, Sun Valley Commons Shopping Center.